Many power plants, however, may not be rated to burn a different fuel mix, which may include Powder River Basin (PRB), Illinois Basin (ILB) or Central Appalachian (CAPP) coals. Those fuels can pose challenges because of high levels of alkalis that can cause damage to the overall system. The alkali metals found in such coals are known to vaporize and form low melting temperature compounds that condense onto cooler surfaces. Condensation initiates contact and develops into strong, dense deposits that subsequently lead to severe slagging and fouling in furnaces and boilers — conditions that can result in a decrease in heat transfer rate, boiler availability and megawatts (MW) far below boiler plate design. Combustion additives can be an effective, low-cost method to solve such performance-related problems by maintaining a clean firebox and convection pass, even while burning more challenging fuels. Aurora, a patented mineral-based additive offered by Imerys, acts as a strong “alkali-sorbent” when introduced with the fuel into the furnace. Aurora mitigates slagging and fouling, reduces corrosion, and improves the overall system to produce more megawatts (MW), especially when burning non-design fuels. Commercial and test burn results demonstrate that it dramatically increases the friability of the slag and bottom ash, facilitating easy removal with existing soot blowers, resulting in an overall reduction of maintenance costs due to shorter and less frequent outages. Alkali metals such as sodium and potassium are found at some level in all fuels. When bound organically as in subbituminous coal or as soluble salts in the case of many bituminous coals, alkalis are released into the flue gas as vapor. Alkali vapors will condense onto fly ash particles and heat exchanger surfaces as liquid salts of sulfur, chlorine or similar particulates, and begin to trap solid fly ash particles. Complex reactions then occur, including dissolution, sulfation, and sintering, ultimately leading to troublesome slagging and fouling deposits. The Aurora additive is a specially selected blend of aluminosilicate minerals that is engineered to capture alkali vapors at the point of combustion, thereby minimizing the ability of those vapors to participate in the binding of solid fly ash into deposits. That is possible because, both during and after combustion, the formation of alkali aluminosilicates is thermodynamically favored over the formation of alkali chlorides, sulfates, vanadates and other salts. Although other fuel ash components certainly form liquid at boiler temperatures, Aurora removes the portion caused by molten alkali compounds and disrupts the bonding of ash particles. Aurora, therefore, is beneficial in preventing the cycle of condensation, particle entrapment, and sintering what would otherwise result in troublesome slagging and fouling deposits and additional resulting problems. Prior to the use of the Aurora additive, this plant was experiencing a decrease in boiler efficiency and had to run as low as 60% capacity (135 MWe) during the evening hours depending on the varying behavior of the unit. 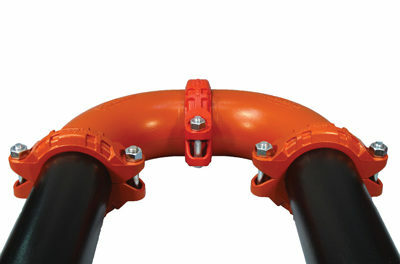 The challenge was to decrease or eliminate the slagging at the superheater pendant tubes and the blockage at the bottom ash removal area to enable an increase in load from 230 MW to 260 MW. A test was performed without cleaning the unit beforehand. Aurora was added to the coal and slag observations at the superheater were made twice daily then rated from 0 (no deposition) to 4 (severe). Boiler conditions were monitored continuously and fly ash was collected for analysis. The capture of volatile alkalis by Aurora increased the ash melting temperature and lessoned the slagging intensity. Smaller clinkers and ash flow out of the boiler easily (Figure 1). Less NOx was produced for a given load and a greater load produced a given amount of NOx maintaining an acceptable level (Power generation was increased 8.6% from 230 MW to 250 MW). 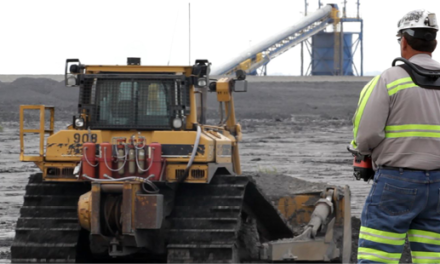 During a previous test burn at this facility, using 100% ILB coal without Aurora, slag growth continued to increase until the end of the 100% ILB burn. Some of the slag observed had a sticky appearance that can be indicative of slag that is harder to remove. There were also large chunks of hanging slag growing on many of the hanging pendants. The challenge was to convert to 100% ILB coal without experiencing the slagging and fouling that led to decreased boiler efficiency and increased cleaning and maintenance costs. A dedicated feeding system of Aurora was put into place to ensure a controlled addition rate of the additive directly onto the coal belt feed. Analysis of the coal before combustion, with and without Aurora, shows little change in the feed coal except that the Reducing Ash Softening Temperature is increased, which indicates a lower potential for slagging (Table 1). Slag observations were performed twice daily and ash samples were taken throughout the test burn. Fly ash was tested for ash chemistry and ash fusion temperature (Figure 3). Fly ash fusion temperature increased, on average, 50°F (28°C), resulting in a dryer ash, eliminating much of the deposit typically seen in the superheater section. That is less of an increase than shown from the coal analysis, but is caused by the fly ash having a different chemistry than the fuel ash. Variations in the AFT softening temperature at any Aurora addition level are driven by local fluctuations in CaO and Fe2O3 content. The slag that formed with the 100% ILB and Aurora burn had a dry character, which could be easily removed as opposed to the 100% ILB burn without Aurora, which had a tacky character and was difficult to remove. Surveillance of furnace cameras showed that the large chunks of hanging slag that were seen during the test burn without Aurora did not form with the additive. That resulted in an improved heat transfer rate, decreased cleaning time and costs, increased power generation and the ability to successfully change fuels. For economical and emission control reasons, this power plant was evaluating the conversion from GLF Eastern Bituminous coal to Powder River Basin Black Thunder coal. During a previous test burn using GLF Eastern Bituminous coal without Aurora, this facility experienced slagging at the radiant Super Heater and furnace walls as well as bottom ash clinker formations. 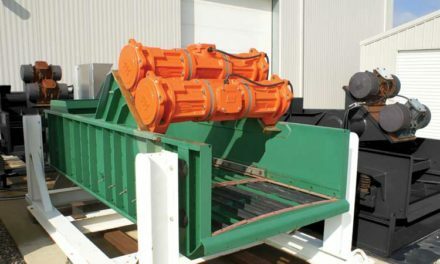 The challenge was to convert to 100% PRB coal without experiencing the slagging and fouling that led to decreased boiler efficiency and increased cleaning and maintenance costs. 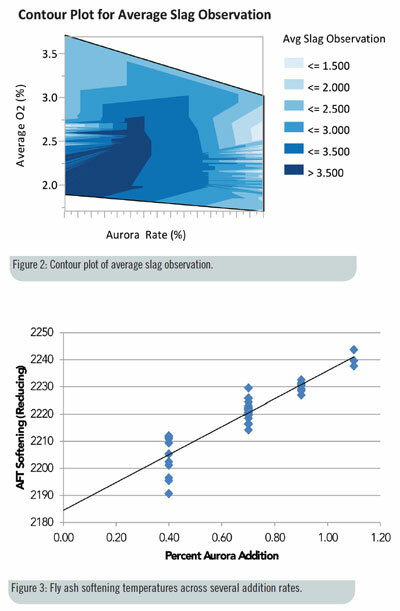 Slag was significantly reduced and no bottom ash clinkers were reported with the addition of Aurora (Figure 2). Any slag deposits that did form were easily removed with sootblowers. There was less ash buildup between the wall tubes, which resulted in decreased cleaning and maintenance costs. Aurora’s effectiveness in reducing slag contributed to stable MW generation. Any precautions taken by the plant to reduce emissions were not negatively affected. The Aurora additive effectively binds volatile alkalis into higher melting temperature compounds, thereby limiting their ability to initiate fouling and slagging deposits as they pass through the unit. Any remaining deposits are weakened and more easily removed by conventional removal methods, thereby reducing cleaning time, maintenance costs, and resulting in shorter and less frequent outages. This effectively allows for the combustion of a cheaper mix of fuels that are otherwise difficult to use, making it possible to increase boiler efficiency and power generation at a lower fuel cost. Aurora is produced in three physical forms allowing flexibility and ease in application to the fuel prior to milling and combustion. Imerys has expertise in dosing the product to a variety of different boiler types, adding it in the most technically efficient and cost-effective manner. No negative effects of Aurora have been seen or reported on feed systems, mills, scrubbers, ESPs, catalysts, baghouse operation or ash chemistry. Dr. Murielle Perronnet is the Aurora senior scientist for Imerys. Dr. Adam Campen is a combustion engineer for Imerys. David Osby is the commercial and development manager for Imerys. Nicole Roney is a global marketing analyst for Imerys. Readers can find more information at www.imerys-aurora.com.